The San Francisco Latino Historical Society and Heritage are excited to embark upon a new partnership to document and preserve the city’s rich Latino history. Read below to learn more about two of our recent and ongoing projects! 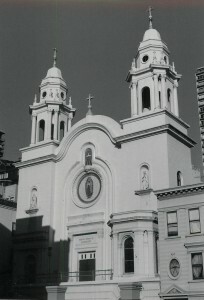 Our Lady of Guadalupe Church. Photo from Heritage Archive. The organizations received a grant to fund the first citywide Latino historic context statement, entitled Nuestra Historia: Documenting the Chicano, Latino, and Indígena Contribution to the Development of San Francisco. 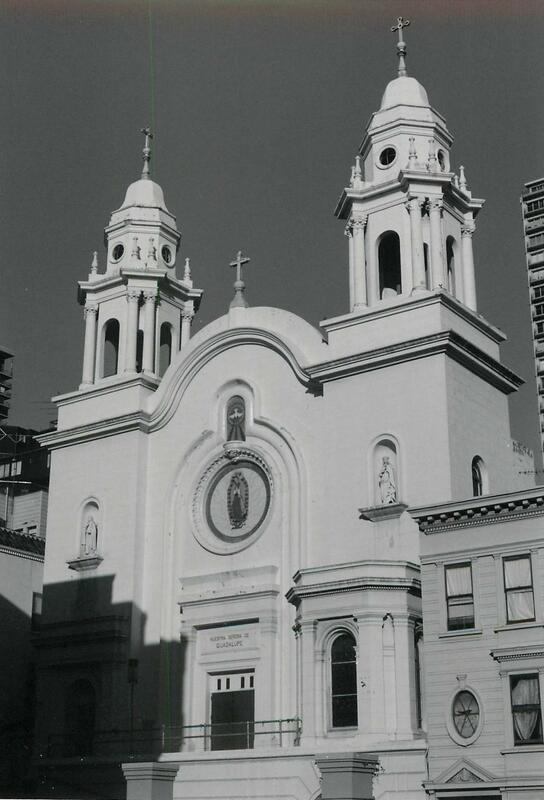 Funded by the City of San Francisco’s Historic Preservation Fund Committee, this citywide historic context statement will document Latino history as it pertains to the physical and cultural landscape of San Francisco and will offer recommendations on how best to preserve and maintain architectural, cultural, and historical resources important to Latino communities. This innovative community-based project comes at a time of rapid change in the Mission District and throughout San Francisco, when numerous longtime Latino businesses and community institutions face uncertain futures due to gentrification, rising rents, and displacement. Together, Heritage and the Latino Historical Society aim to build public awareness for the diverse history of Latinos in San Francisco, identify significant historic and cultural places for conservation, and offer recommendations for preserving and protecting this longstanding legacy. A team of scholars, in partnership with the San Francisco Latino Historical Society and San Francisco Heritage, is developing the historic context statement. A Latino Community Advisory Board, as well as a peer review committee made up of well-respected scholars, will guide the review and development of the historic context statement. 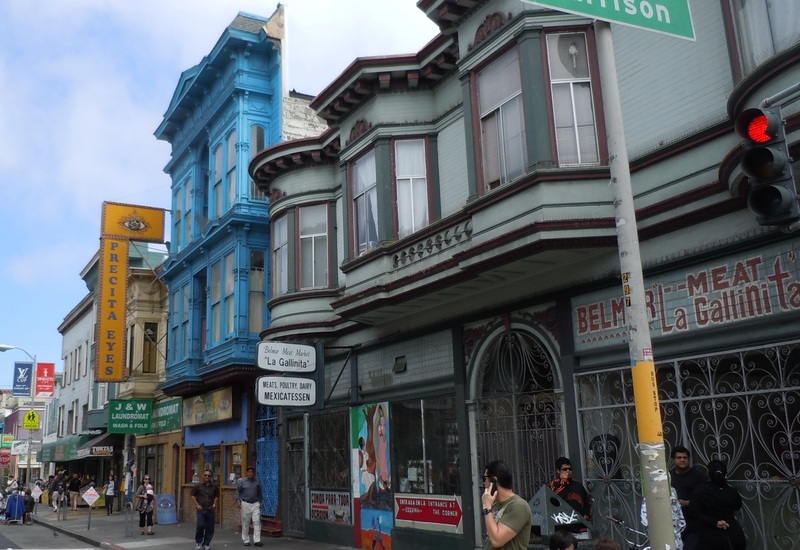 Project partners aim to build public awareness for the diverse and little-known history of Latinos in San Francisco, identify significant historic and cultural places for conservation, and offer recommendations for preserving this longstanding legacy. 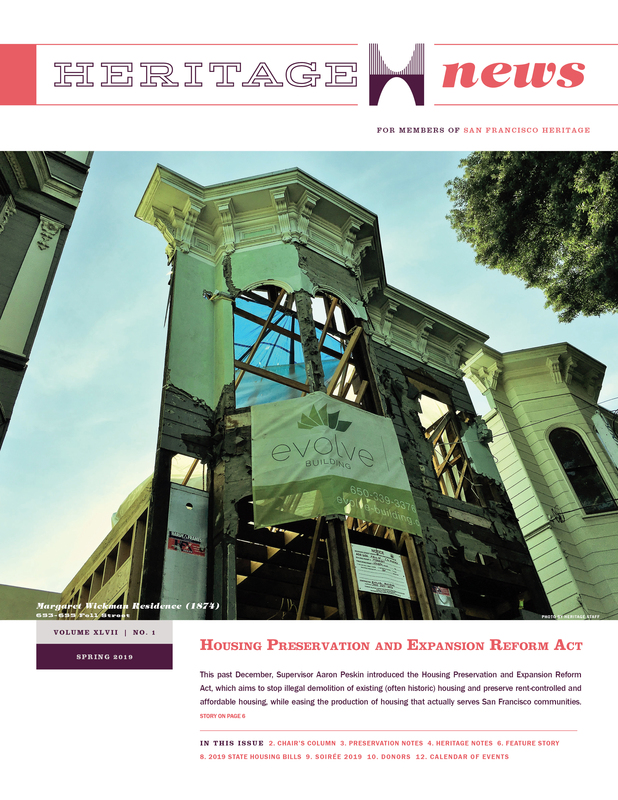 The historic context statement will also help city planners and elected officials make better-informed decisions regarding the protection and stewardship of cultural resources significant to San Francisco’s Latino community. “Calle 24” participants practicing their newly learned interview techniques at the offices of Accion Latina. Photo by Heritage staff. Calle 24: Cuentos del Barrio is an effort to bring visibility to the Latino heritage of 24th Street and to support its continued vitality. The project launched in summer 2013 at the offices of Acción Latina, where a group of local high school and college students participated in urban history workshops and received training in oral history methodology from Dr. Carlos Cordova of San Francisco State University and Oscar Grande of PODER. Students then conducted over a dozen interviews with community leaders from 24th Street to recover stories dating from the 1940s to the present-day. The project culminated in a series of youth-led walking tours of 24th Street, held on July 28th during “Sunday Streets” in the Mission. A self-guided walking tour booklet is available in PDF format. Funding for Calle 24: Cuentos del Barrio came from the National Trust for Historic Preservation and the Bland Family Foundation. Project findings helped to inform a resolution designating Calle 24 as a Latino Cultural District. Spear-headed by the Calle 24 SF Neighbors and Merchants Association in partnership with the Mayor’s Invest in Neighborhoods program and District 9 Supervisor, David Campos, the resolution aims to to stabilize the displacement of Latino businesses and residents, preserve Calle 24 as the center of Latino culture and commerce, enhance the unique nature of Calle 24 as a special place for San Francisco’s residents and tourists, and ensure that the City of San Francisco and interested stakeholders have an opportunity to work collaboratively on a community planning process, which may result in the Designation of a Special Use District or other amendment to Planning Code. Click here for more information about the Calle 24 Latino Cultural District. On Tuesday, May 20, 2016 the San Francisco Board of Supervisors passed a resolution designating the Calle 24 Latino Cultural District. Supervisor David Campos sponsored the legislation, supported by Calle 24 SF Neighbors and Merchants Association, the SF Latino Historical Society, and San Francisco Heritage. Thanks to funding from the Mayor’s Office of Economic and Workforce Development through the “Invest in Neighborhoods” program, Calle 24 SF is currently leading a community planning process to help determine the components of the district. In 2016, a Detour App of The Mission was launched in partnership with KQED. Roberto Hernandez, the “Mayor of The Mission,” takes you deep into the Mission with people who intimately love the neighborhood, but in very different ways. Roberto introduces you to all kinds of ‘locals’: from tech-worker newcomers drawn to the neighborhood’s buzz to Latinos who treasure the neighborhood’s traditions. And as we travel, they all meet each other to ask: What does it mean to belong in a place in the midst of unprecedented change?